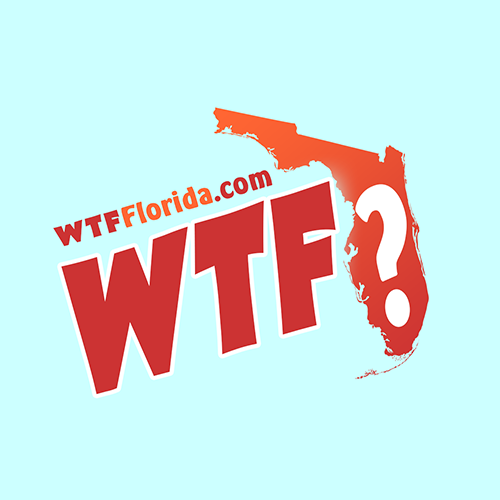 Mascotte (WTFF) – A Florida Transplant was arrested after reportedly beating and threatening his girlfriend. 35-year-old Shaun Nicholas Ramsey was born in Tennessee, but now lives in Mascotte as a “transient,” according to the arrest affidavit. 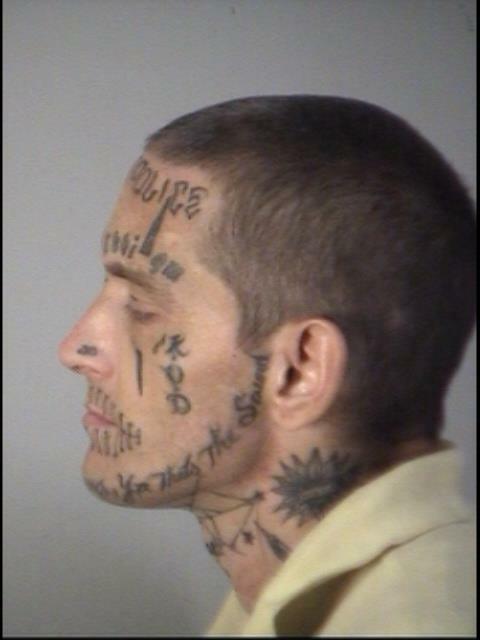 He was booked Monday morning and faces charges of False Imprisonment, and Battery (Domestic) with Prior Conviction. Four Violation of Probation charges were added later: Felon with Gun, Grand Theft Motor Vehicle, Possession of Methamphetamine, Possession of 10 or More Forged Notes. Police spoke with his girlfriend, who was distraught and afraid for her safety. Ramsey reportedly slapped her, punched her, and imprisoned her the night before. 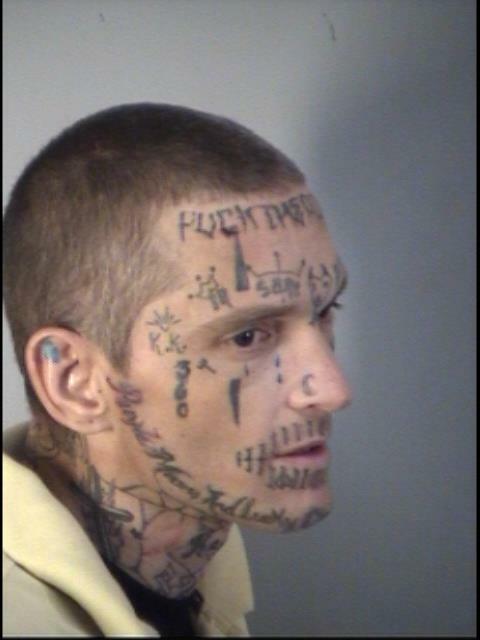 He had been getting progressively more abusive after being released from prison. She took that opportunity to call the police and escape the residence. Lake County SWAT helped with the arrest. Ramsey remains in jail with a $40,000 bond. 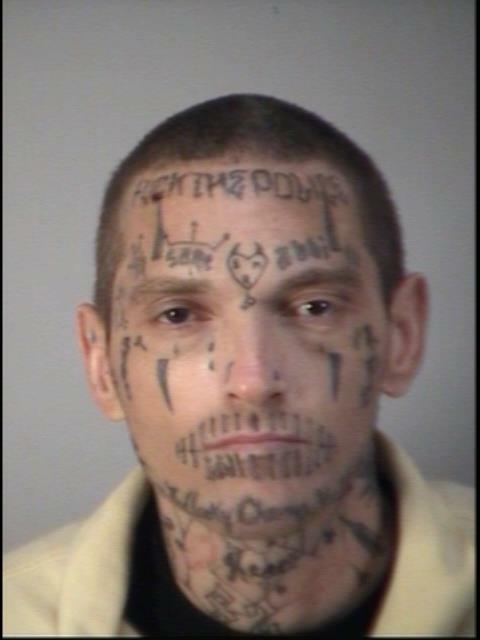 I’m not surprised about the tattooed face, it happens. What is a surprise is that he has a girlfriend. Wonder how she’s decorated? The elevator does not reach the top floor on this one !